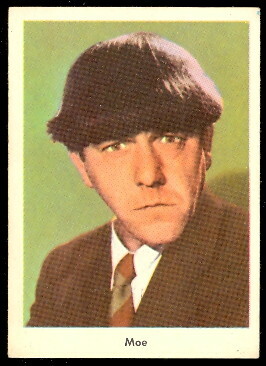 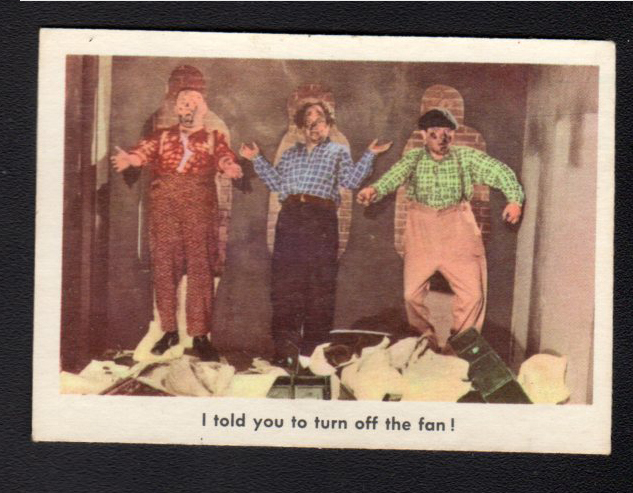 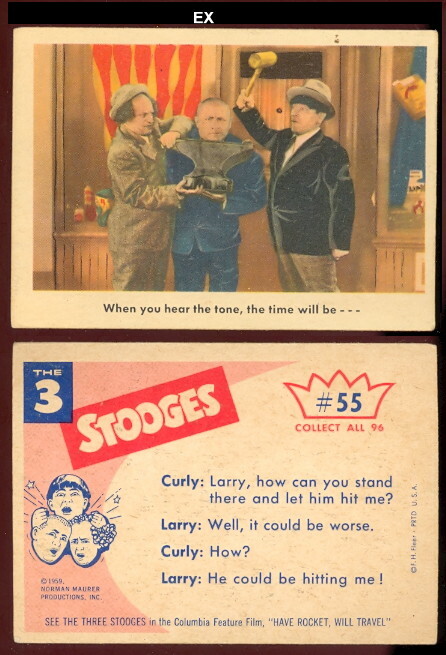 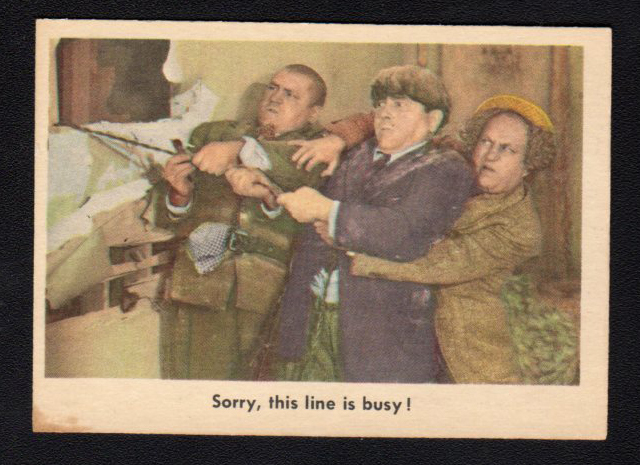 The 1959 Fleer Three Stooges is one of the more popular non-sports sets. 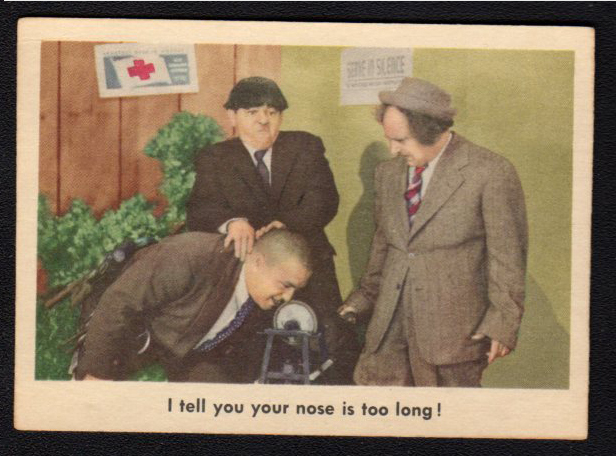 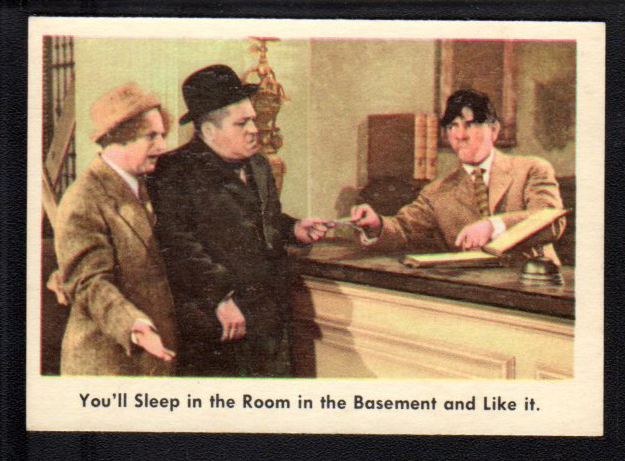 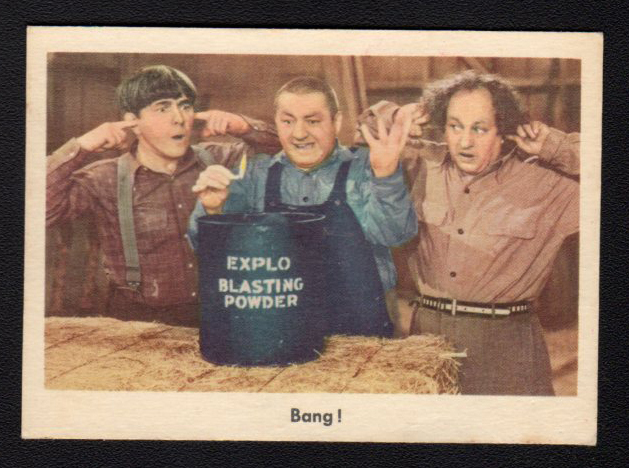 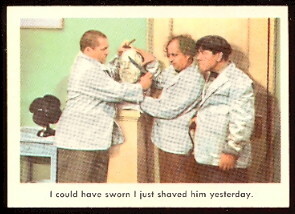 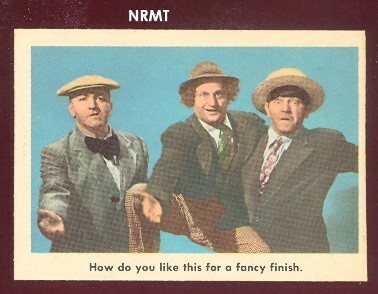 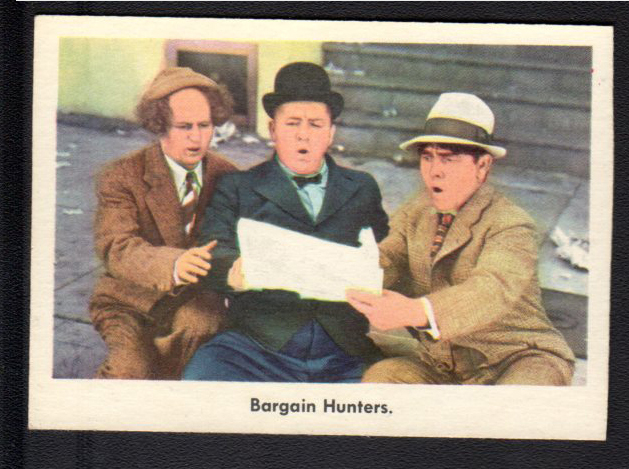 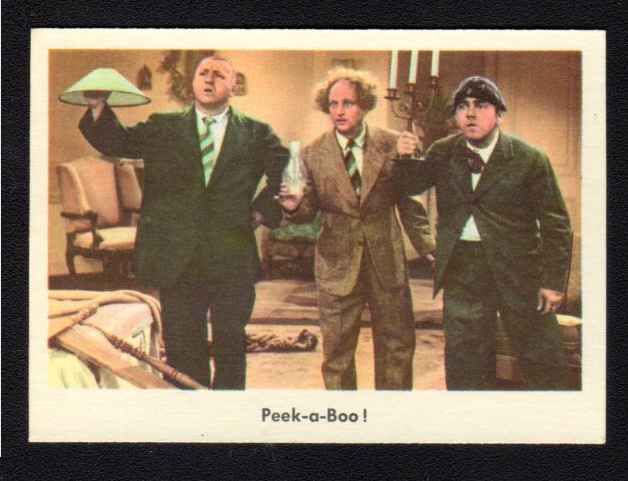 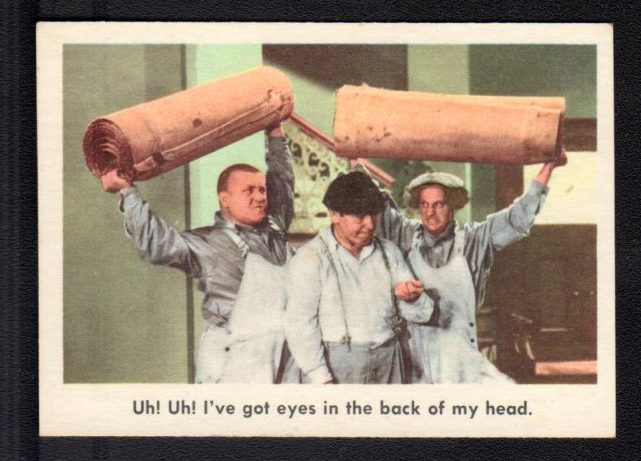 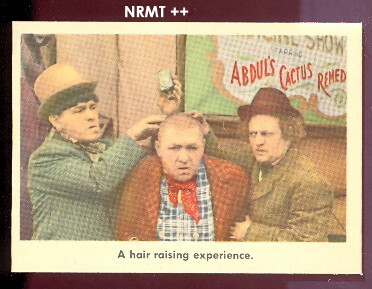 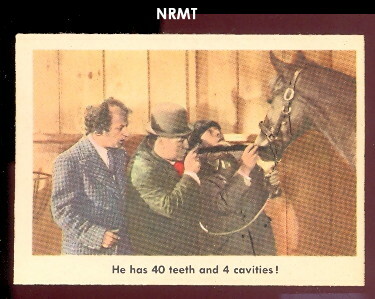 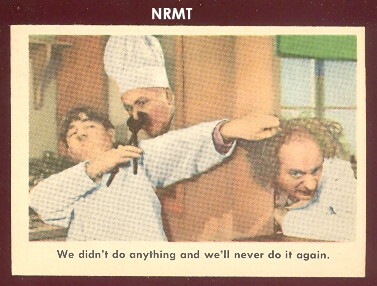 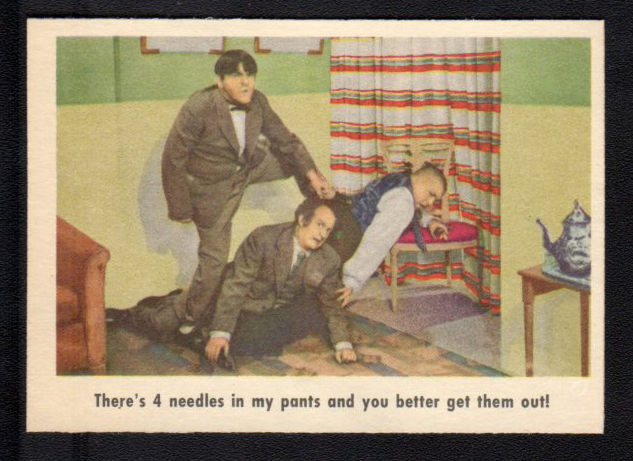 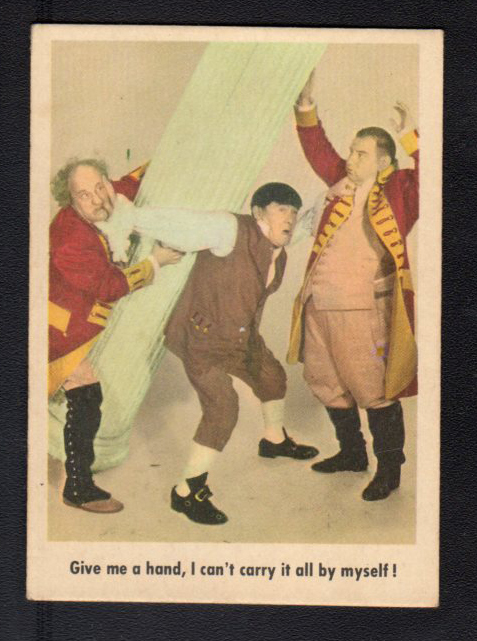 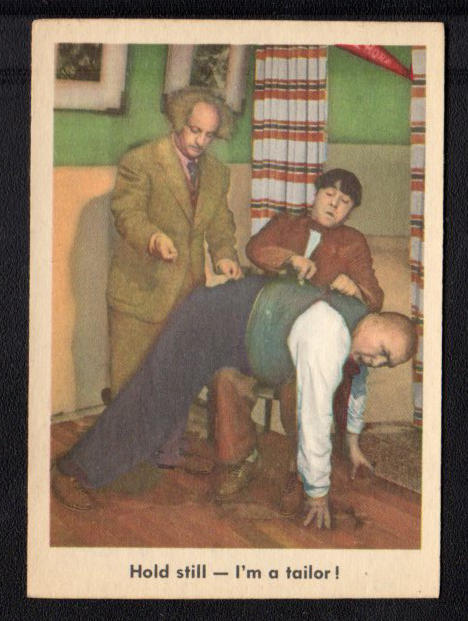 The set contains 96 cards and features Moe, Larry, and Curly as the famous Three Stooges. 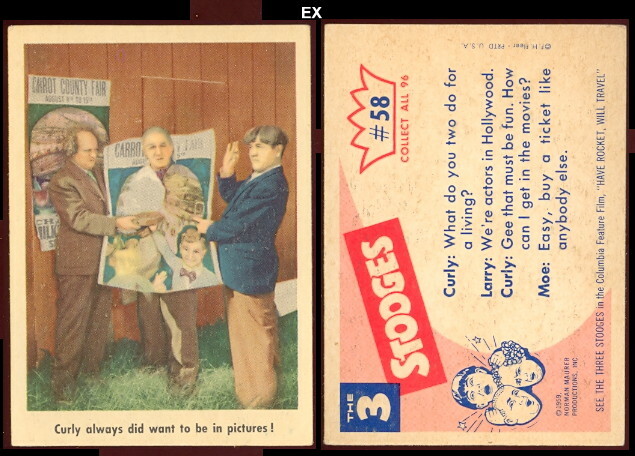 The cards have color photos on the front and the backs have biography information along with an advertisement for the Three Stooges Columbia Feature Film "Have Rocket, Will Travel". 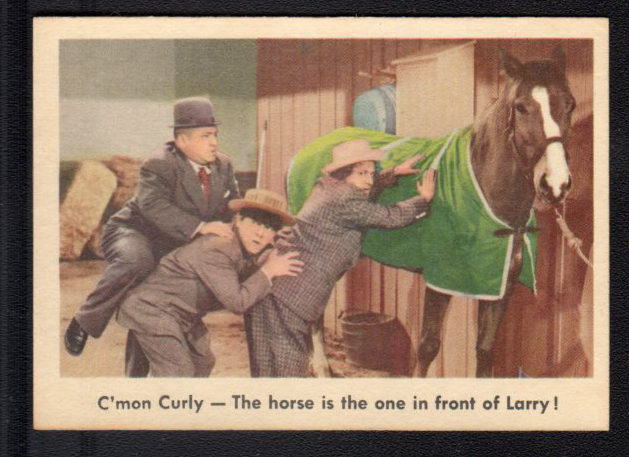 Card numbers 1 (Curly), 2 (Moe), and 3 (Larry) are very desirable. 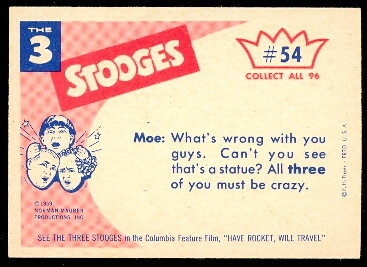 Card numbers 16, 63, and 64 are also found with a checklist back and are very rare. 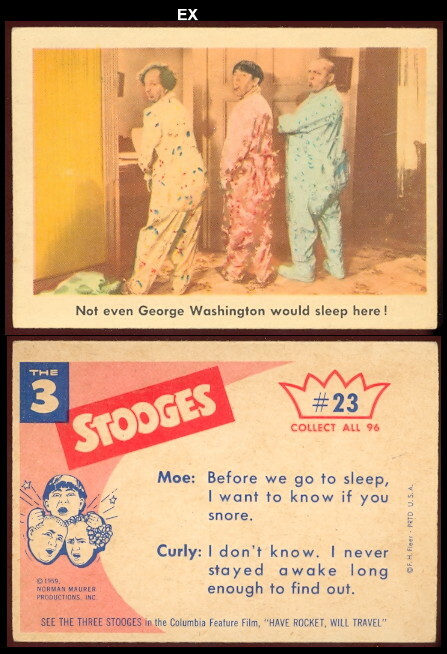 The cards measure 2-1/2" x 3-1/2" in size.